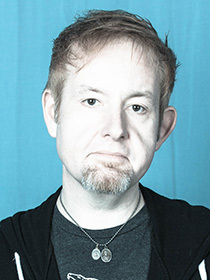 David M. Jenkins is the Producing Artistic Director and a co-founder of Jobsite. He holds a Ph.D. in Communication (Performance Studies) from the University of South Florida, an M.F.A. in Acting from the University of Florida, and a B.A. in Theater Performance, also from USF. He has additionally studied with Moscow State University, the Russian Academy of Theatre Arts (GITIS) and the San Francisco Mime Troupe. In addition to his full time work for Jobsite, David teaches in the Honors College at USF as an adjunct instructor. David is also a co-founder of the Tampa International Fringe Festival, now in its third year. He has recently directed productions of Othello, Edgar & Emily, Hedwig and The Angry Inch, Dancing at Lughnasa, HIR, The Tempest, and The Threepenny Opera for Jobsite as well as Annie Baker’s The Aliens for Stageworks Theatre (2017 Theatre Tampa Bay Award for Outstanding Director). He has appeared on stage recently in Cloud Nine (Betty/Edward, 2017 Theatre Tampa Bay Award for Outstanding Ensemble), A Skull in Connemara (Tom Hanlon, 2017 Theatre Tampa Bay Award for Outstanding Featured Actor), Time Stands Still (James, 2015 BroadwayWorld Regional Award for Best Actor), The Hound of the Baskervilles (Dr. Watson) and The Lonesome West (Coleman). The latter role earned him a Theatre Tampa Bay nomination for Outstanding Lead Actor, recognition as a Top 9 performance of 2013 by Creative Loafing, and the Best Actor Award in CL’s Best of the Bay Reader’s Poll. He was the 2014 recipient of the Best Director Award from CL’s Reader’s Poll and Best Director of a Musical in the BroadwayWorld Tampa Regional Awards (SILENCE! The Musical). Creative Loafing has twice honored him as both Best Artistic Director and Best Actor. David has published articles in the scholarly journals Text & Performance Quarterly, Liminalities, and Departures in Critical Qualitative Research. He lives in Tampa Heights in a neat old house with his rad wife and a mess of critters.